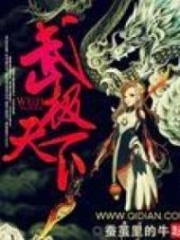 You’re reading novel The Demonic King Chases His Wife: The Rebellious Good-for-Nothing Miss Chapter 856 online at LightNovelFree.com. Please use the follow button to get notification about the latest chapter next time when you visit LightNovelFree.com. Use F11 button to read novel in full-screen(PC only). Drop by anytime you want to read free – fast – latest novel. It’s great if you could leave a comment, share your opinion about the new chapters, new novel with others on the internet. We’ll do our best to bring you the finest, latest novel everyday. Enjoy! “Shut up!” Elder Luo glared very fiercely at Elder Beichen. “Even if I shut up, it’s useless. Him being a master is now investigating what you were responsible for, how do you see it?” Elder Beichen was berated but was still smiling happily. This elder’s temperament was the same as Beichen Ying’s, a happy-go-lucky kind of person. Elder Luo looked towards Rong Yun and saw his apathetic gaze filled with a menacing, murderous aura. His heart trembled with fear, then he lifted his eyes to signal to Luo Haochen. Luo Haochen saw his own grandfather being taunted, and a gush of fury appeared in his heart, his expression becoming severely cold. But his grandfather’s order, he dared not disobey. So he unwillingly threw those several treasures towards Su Luo. It seemed to him, that Su Luo would definitely reach out her hand to catch them. But, Su Luo did not cooperate with him. She was pretending to talk with Zi Yan. Consequently, one could only hear the three “bang” sounds, and everything fell to the ground. Luo Haochen had a very annoyed expression. Already returned your things and still so troublesome! In the end, do you want it or not? Now, if she wanted him to go pick it up and then return it to her, this was absolutely impossible. Therefore, Luo Haochen cast cold, sidelong glances at Su Luo and turned his body away. Rong Yun’s eyes narrowed dangerously, but one also didn’t see how he moved. One could only see his sleeve flip over. And in the next second, Luo Haochen had already been lifted into his hands. It was similar to lifting a chick up. He was hung upside down, carried up by Rong Yun. This unforeseen event immediately shocked everyone. “Rong Yun, what are you doing?” Luo Shengtian had never thought that Rong Yun, with that sort of good disposition, would actually become so hostile so quickly. Didn’t even know what Rong Yun did. His disposition could still be considered as good, but Luo Haochen unexpectedly gave blood-curdling screams. In pa.s.sing, he threw Luo Haochen towards Luo Shengtian. Afraid of Rong Yun doing something else, Luo Shengtian caught Luo Haochen steadily in his hands, but he himself had to take ten steps backwards. Every step left a deep footprint in the ground. Grandmaster Rong Yun’s things weren’t easy to catch. Only with great difficulty, did Luo Shengtian get rid of that enormous powerful pressure, in order to stabilize him and Luo Haochen. Although Rong Yun had just pinched him in pa.s.sing, but he had actually abolished a whole level of Luo Haochen’s cultivation. From the summit of the seventh rank, he had returned to the beginning of sixth rank. “Rong Yun, you!” Luo Shengtian got so angry that even his beard was sticking up. Hateful, simply too hateful. He actually abolished his precious grandson’s cultivation in front him! In front of his face, he had abolished his grandson’s cultivation! Luo Shengtian did not only feel regret for his grandson’s cultivation, at the same time, this was Rong Yun thras.h.i.+ng his pride! Luo Shengtian was itching to rush up and wage three hundred rounds of battle with Rong Yun. But what Grandmaster Rong Yun had displayed just now was only the tip of the iceberg of his strength. Yet, it had already scared him unbearably. He was absolutely not Grandmaster Rong Yun’s opponent. Luo Shengtian was immediately choked off! You're reading novel The Demonic King Chases His Wife: The Rebellious Good-for-Nothing Miss Chapter 856 online at LightNovelFree.com. You can use the follow function to bookmark your favorite novel ( Only for registered users ). If you find any errors ( broken links, can't load photos, etc.. ), Please let us know so we can fix it as soon as possible. And when you start a conversation or debate about a certain topic with other people, please do not offend them just because you don't like their opinions. You're reading The Demonic King Chases His Wife: The Rebellious Good-for-Nothing Miss Chapter 856. This novel has been translated by Updating. Author: Su Xiao Nuan,苏小暖 already has 11088 views. Current Time is Apr-21-2019 02:20:17 AM.